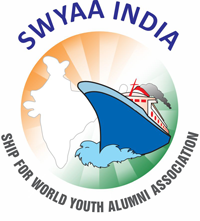 SWYAA-India is planning to work for the rehabilitation of 400 families to support the school going children with buying books, pencils, pens and other stationary materials and help in providing essential items and clothes in Thrissur district in Kerala as per disaster relief protocol of SWYAA-International. We seeks the cooperation of all Indian Ex-PYs in this regard by contributing or volunteering for relief work. © Copyright - SWYAA INDIA.